Varanasi--also called Benaras and Kasi--is to the Hindus what Mecca is to the Muslims and Vatican to the Christians. Varanasi presents all that is beautiful and divine in Hinduism. No wonder, Hindus from all over the world make it a point to visit the holy city, at least once in their life. One of the world's oldest cities where the Mother Ganga is sacred and death in Varanasi is a direct path to heaven. Mark Twain wrote: Varanasi is, "Older than history, older than legend, and looks as old as all of them put together." 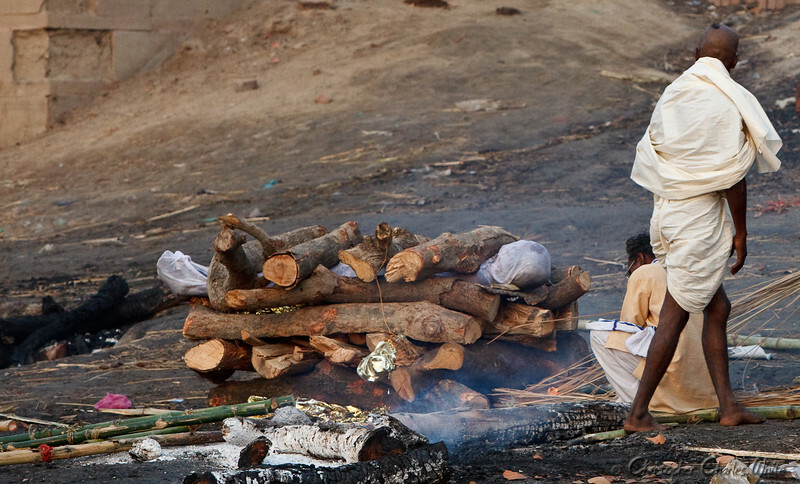 You will see burning ghats where hundreds of daily cremations take place. In the case of children and pregnent women, they are not cremated but simply set into the river beautifully wrapped in cloth.